Miami University is a public university located in Oxford, Ohio, 35 miles north of Cincinnati. 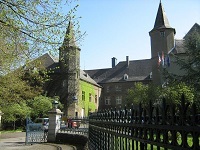 There are two regional campuses in Butler County, OH and the university operates the John E. Dolibois European Center in Luxembourg (established in 1968). Miami students and alumni are uniquely prepared to meet employers' ever-changing talent needs. Miami possesses a broad range of talent and research infrastructure to partner with businesses and industries and there are numerous programs designed to support startup and corporate recruiting strategies. 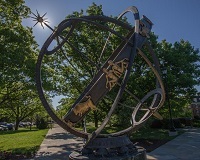 Additionally, with its strong partnership program, Miami University can assist businesses and organizations with applied research and development, technology development, analytical chemistry services, consulting, policy and management development, and providing student talent for internships, coops, and employment pathways. Global Initiatives is the campus center supporting and encouraging the Miami University commitment to dynamic and comprehensive internationalization resulting in a diverse cultural and global learning experience for students.